Lyme Bytes: Now available! 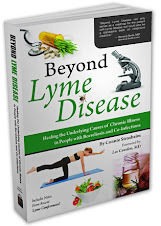 FREE sample chapter of "Beyond Lyme Disease"
Now available! 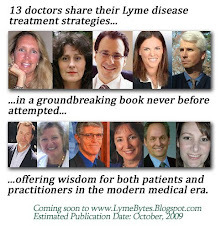 FREE sample chapter of "Beyond Lyme Disease"
Hello Readers! Just wanted to let you know that I have posted a FREE sample chapter of my new book, "Beyond Lyme Disease: Healing the Underlying Causes of Chronic Illness in People with Borreliosis and Co-Infections" on the book's website. This chapter describes why adrenal fatigue and hypothyroidism are primary causes of chronic illness in people with Lyme disease, and why treating them is essential for a full recovery. Click here to access the FREE sample chapter. I pray this information would help you in your journey towards recovery. 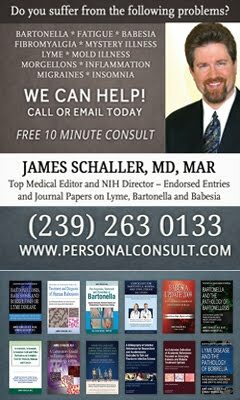 Lyme disease is a bacterial illness which is spread by tick bites. This disease can affect the joints, nerve system and heart. The ticks are brown in color and it looks like poppy seeds and these things make impossible to recognize them. To contract Lyme disease, an infected deer tick must have to bite you. The bacteria enter in your skin through the bite and make their way into your blood stream. If anyone suffering from this condition, he/ she can visit this site .